Delays in accessing health care from the Department of Veterans Affairs (VA) that resulted in veterans’ deaths have sickened Americans who believe that one of our most sacred duties as a nation is to care for those who have served in uniform. Revelations from the Phoenix VA Health Care System about secret waiting lists for VA health care touched off investigations that showed similar problems at VA medical centers around the country. As a result, VA Secretary Eric Shinseki resigned amid accusations that he was out of touch with what was happening under his watch. 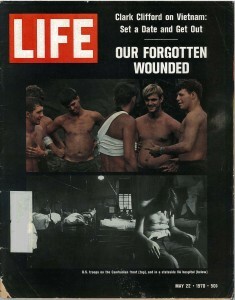 Unfortunately, problems in accessing quality VA health care aren’t new. In a May 1970 edition of LIFE magazine, horrifying images of the treatment of veterans with spinal cord injuries at the Bronx VA medical center sparked the outrage necessary to replace outdated facilities and improve the care provided. The former leader of this organization, James Peters, was instrumental in exposing the maltreatment occurring at that medical center. In 2005, the Bronx VA medical center was officially renamed the James J. Peters VA Medical Center. A veteran with SCI who has spent the better part of 40 years receiving care at that medical center recently told me that the care he receives today is the best he has received from VA.
As was the case with the Bronx VA, today’s media reports of misconduct have once again provided the catalyst needed for change. In response to the outrageous reports of staff manipulation of waiting lists and veterans unable to access the care they need, changes in VA personnel and policies are being deployed. On July 29, the Senate confirmed a new VA Secretary, Robert McDonald. That same week, the Chairmen of the Veterans’ Affairs Committees in Congress agreed to legislation that creates new opportunities for veterans to seek care outside of the VA if timely, local VA care isn’t available. The legislation also allows VA to more easily remove managers who are found to have manipulated data and hindered the ability of veterans to access care. Many veterans who are able to access care through the VA like the care they receive. VetsFirst recently joined with many leading veterans organizations in calling for renewed investment in VA to ensure that veterans have access to the quality care they need and deserve. Congress showed its support for strengthening VA by also agreeing to provide VA with additional resources to hire more doctors, nurses, and other health professionals and address aging infrastructure. The catalyst of today’s problems can help us ensure better care for veterans for years to come. In the coming months, the results of reform efforts will make it clear whether we are on the right path in addressing the problems that led to the despicable treatment of our veterans in Phoenix and other VA health care facilities. The process of implementing needed changes, however, has only begun.